Dual Function door security bar for hinged and sliding doors. Resist forced entry through doors and sliding patio doors. Prevent intruders from breaking the window in your door and gaining access to your lock. The Door Security Grille is a reliable theft deterrent for back doors, garage doors, cottage doors and sheds. Tamper-resistant hardware allows you to mount the grille on the interior or exterior of the door. 101 A 21-inch to 28-inch W Fixed Window Bar Protect your home and family by securing any window not required for emergency escape. This easy-to-install window bar can be in place in minutes, giving you peace of mind for years. The adjustable width and Universal Mounting System ensure a perfect fit, even if your window is out of square. 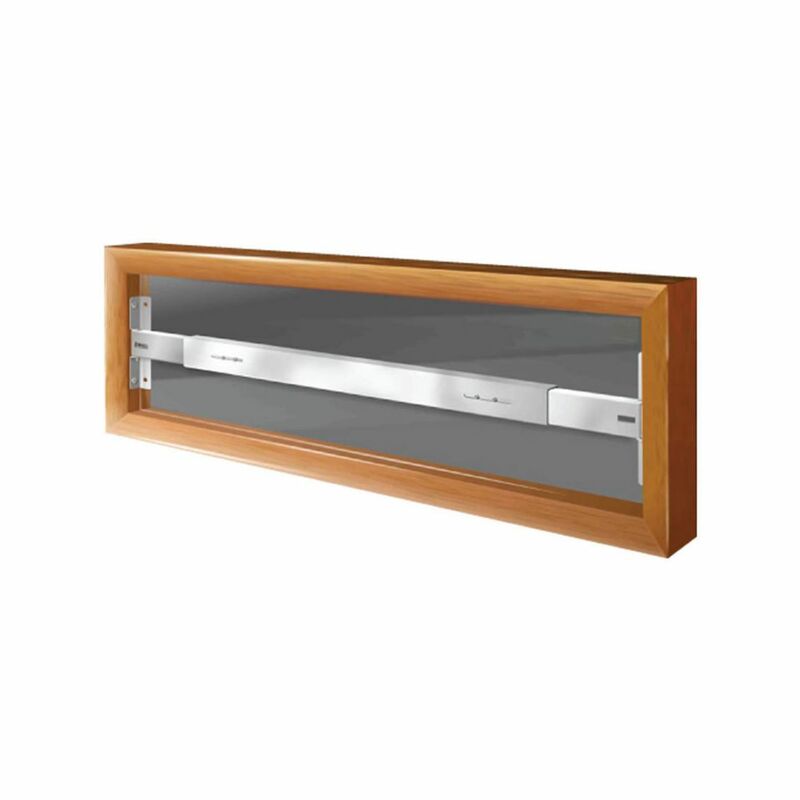 101 A 21-inch to 28-inch W Fixed Window Bar is rated 4.0 out of 5 by 2. Rated 5 out of 5 by mike from perfectly GOOD BAR Installed with ease, fits tall and slim patio deck window. Secured with heavy hardware included. Great product. Have installed all my lower level windows with Mr. GoodBar products.